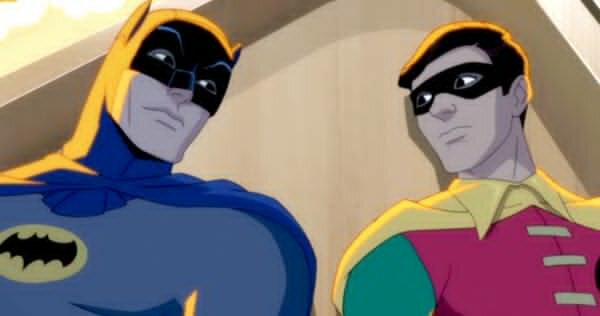 The Return of the Caped Crusaders is headed our way — finally! First, check out the trailer if you haven’t seen it — or want to again! It’ll be available digitally on 10/11 and on Blu-ray 11/1. 2. Glad to hear they’ll be using the main theme — or at least a version of it. 3. So they teased the Big Four villains — Catwoman is a natural, given Julie Newmar’s involvement. 4. But I would have liked to see them expand the villains roster. Then again, it’s not yet clear how they’re handling the likeness issues. 6. Perhaps animation is a complicating matter, however. Vincent Price’s estate is in the license deal, for example, but maybe there would have been additional cost to use his Egghead likeness and imitation of his voice. Or maybe I’m overthinking this and they just wanted to use the Big Four. Or maybe there will be cameos. We’ll find out, either way. 7. I assume Batgirl will not be a part of this, which is, of course, too bad. 8. I thought the trailer itself was a little too on the nose. The GIANT OVEN sign was cute but the rest felt a little forced. The key to making this work is being sly, like the comic is. It’s a fine line. 9. The animation, though, was fun. 10. 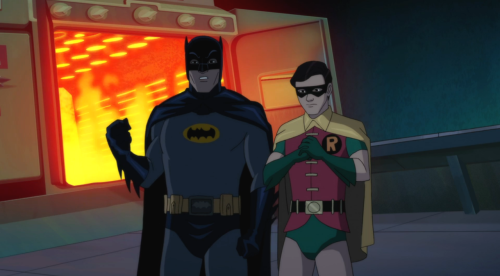 I man, how refreshing is it to see Robin’s classic uniform? 11. In space, huh? BATROCKET! 12. Seriously, just imagine the gags they’ll be able to pull off with no need for an FX budget. I totally agree. I am very excited for this, and can not to watch it, with myself, and with my young son. But you are spot-on when you say that it’s about walking that fine line, as the show itself often did. That was one of the biggest faults I had with the recent comic series. Some of the comic issues (the first Bookworm story, for example, and the one where Joker had to cut the henchmen budget) read like legitimate “lost episodes” while others gave me the feeling someone was just writing generic Batman-lite stories, throwing in some tropes from the show and letting the artist just make it look like Batman 66, but lacking the feel that issue in between maintained. By the end of the series, when it was nothing but “a 1966 version of this modern character, and this one, etc” it really had lost the charm. Allred’s guest-spot in the final issue, however, was perfect, and I was glad it got to go out on that note. Between this, the recent 66 comic series, and the wonderful 1966-inspired,bendies from NJ Croce (more of those, please!) 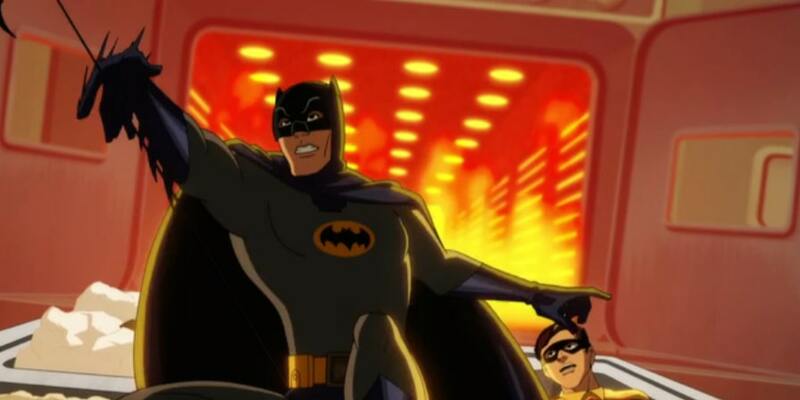 I’m just glad to see Batman ’66 get the love, appreciation, and expansion it really does deserve. Keep up the good fight, Dan, good citizen. Wow, your comments are right on. I could see Wally Wingert, and the family guy dude doing some of the voices. Mark Hamill as Joker – sweet.